Good day, ladies and gentlemen. 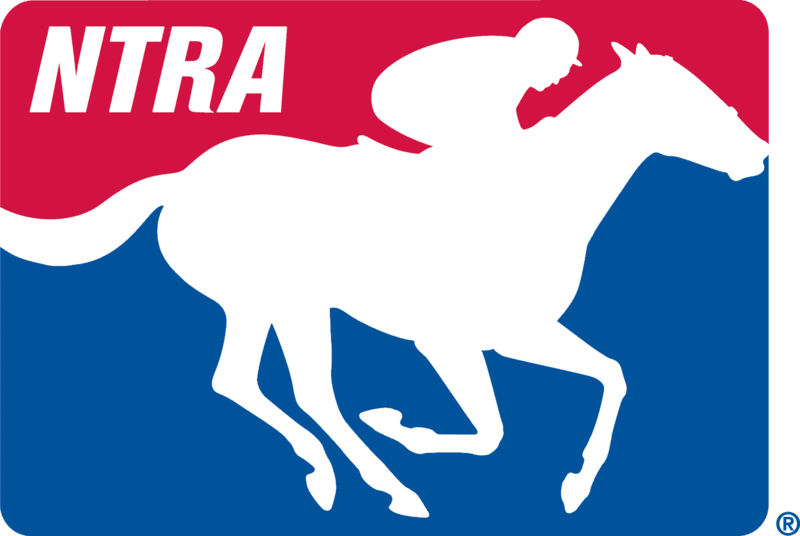 Welcome to the NTRA Road to the Triple Crown Conference Call. At this time, all participants are in a listen-only mode. Following the presentation, we will conduct a question and answer session. At that time, participants are asked to press star one to register for a question. As a reminder, this conference is being recorded. It is now my pleasure to introduce your host, Ms. Alicia Hughes. Please go ahead. Thank you, Carolyn, and welcome everyone to this week’s NTRA teleconference on this year’s Road to the Triple Crown. This week we’ve got three scheduled guests to catch up with in advance of what figures to be a massive weekend of action across the country with implications on both the Derby trail and in the handicap race. This Saturday features three prep races, which will offer 100 qualifying points to the winner towards the Kentucky Derby in the Grade I Santa Anita Derby at Santa Anita Park, the Grade II Wood Memorial at Aqueduct and the Grade II Blue Grass Stakes at Keeneland. Keeneland is also hosting a major prep race for the Kentucky Oaks with the Grade I Ashland Stakes, while Santa Anita also has the Santa Anita Oaks, as well as the Santa Anita Handicap among its five greatest[?] stakes races this Saturday. One trainer who is well versed in traveling this prep trail is Lexington native, Kiaran McLaughlin. Kiaran has saddled eight starters in the Derby in his career with his best finish coming when Closing Argument finished second in 2005. He has another top contender this year with Haikal, winner of the Gotham Stakes on March 9th and one of the expected favorites for this Saturday’s Wood Memorial. Kiaran, thank you so much for joining us today. And in the Gotham Stakes, Haikal, he got an ideal pace setup but he still looks like a beaten horse with about an eighth of a mile to go there. When you look back at the day and you look at the field he beat, a couple of Grade 1 winners, in a very well regarded horse with Instagrand, what did you learn about him that day? Well, he stepped up big time against greater stake horses. And then it’s the same way he’s been finishing but past better horses this time. So it was exciting to see him finish that way and run so well. And obviously we’re not going to get a 44 high[?] in the Wood Memorial but hopefully there’s plenty of speed and he’ll not be quite as far back. Yeah. That was going to lead me to my next question. It looks like on paper that the pace setup for the Wood is going to be inherently slower. Do you feel like his kick can be as effective if he does have to settle[?] a little bit closer this time around? Hopefully it will. He should be mid pack or toward the rear but not so far back if they’re going 47 or 48. But he seems to finish there as well. Every start he’s finished really well, the last [inaudible] 16. So hopefully he will [inaudible] all learn that [inaudible]. And he’s a half brother to a very good – another horse who was very good to you, in [inaudible] who was a pretty successful sprinter. And any concerns – were there any concerns or are there still any concerns in your mind as far as his ability to handle the distance going forward considering his pedigree? No, because his father was just very, very difficult. He was a run-off and just was tough to train. And this horse is the opposite; does everything right. Different horse, got a great mind. [Inaudible], nice stride. And we feel like he might even be better [inaudible]. You never know but at least he should be able to handle them on [inaudible]. Sounds good, Kiaran. Looks like we’ve got a lot of participants on the line. So without further ado, I will throw it back to Carolyn and we can open it up to see if there is any questions from the media. Certainly. And once again, if anyone does have a question, please press star one at this time. And we’ll go first to Tim Wilkin with the Albany Times Union. Hi Kiaran. You don’t think this horse is just a one-run closer, do you? Well, no, I don’t. We hope not and we think that two times we’ll find out Saturday but he just does everything right. He’s got a great mind and he finishes so well. Obviously we had a very fast pace last time. We won’t have that. But we feel like he’ll get the nine-furlong and just hope that there’s a decent pace. What are your thoughts on this prep season? It seems like there’s no one that stepped forward and taken command of the division? Do you agree with that? Yes, I do. I mean, I think the two Baffert horses ran very well, unlucky to lose and [inaudible] and the Rebel, both of them. They both ran very well and the Florida Derby was interesting. That horse is very talented, Maximum Security. He’s won every time by open length. So being that he ran from lane 16, throw[?] that out because he’s such a talented horse. But it is pretty wide open and we’re happy to have a lot of horses involved and ready to go Saturday. When did you realize that you had something with him? Well, he trained always very well and both time we ran him, it was [inaudible] and then we said don’t get in a hurry. You don’t have a lot of speed. Just close. Hopefully, he’ll come run in to win and he came flying and just missed by a neck. And it’s funny how the game goes. Jose said, ‘I want to stay with this horses, this is a very talented horse. Don’t take me off. I’ll come back and ride.’- But in this game, it just happens that way when I talk with his agent, ‘We’re going to run back here. Can you come?’ ‘No, sorry we do [inaudible].’ So it just happens that I get along with his agent. But we really liked that – the horse that day. Obviously, I even asked my [inaudible] to ride another seven-furlongs in one mile race platform[?] but he ran a six-furlong in a mile and eight, so we had – I didn’t think he was ready a mile and eight, so we went backwards to six-furlongs. And then one with seven, eight and now we’re up to nine. So very talented. All right, Tim. Thank you. And we’ll take our next question from Alan Carasso with Thoroughbred Daily News. Hey, Kiaran. How are you? Great. Thanks Alan. How are you? I’m good, thanks. It’s interesting to look at his pedigree and there’s been a lot of talk that he might be a one-turn type of horse that needs a good pace ahead of him. But being that his paternal grandsire’s Breeders Cup Classic winner and his grandsire’s Kentucky Derby winners. He’s got seeking[?] the gold in the pedigree as well. All that being said, the female family does seem to be tilt towards speed. You are convinced that the nine and 10-furlongs will be up to rally? We’re not convinced but we feel like that it is and we will find out more Saturday afternoon because we’re gone six, seven, eight and nine-furlongs. But his attitude is great. [Inaudible] has lot of ground. He’s got a lot of scope. And he just does everything asked of him. So we don’t think that nine-furlong should be a problem but that we’ll find out. We like him at the nine-furlong. Right. Obviously you’ve gone close to four and the Derby – at least you mentioned with Closing Argument you had sort of a taste there, more than taste of what victory might be like. But considering your Kentucky routes and your relationship with [inaudible], what would get into this Derby and the performing well mean to you this time? Well, it’d be fabulous to get there and perform well. We’ve been [inaudible] times also with the second and three [inaudible]. But this was the only horse we nominated this year and we’re happy that we’re there and getting there. And it would just be unbelievable to win it [inaudible] but even [inaudible] we would be happy. But obviously we’re in it to try and win it if we belong and things go well after the Wood Memorial. And when you say we, it’s the only horse in your barn or the only [inaudible] horse or –? The only horse that we nominated in my barn this year for the Derby. It’s kind of interesting in that we’re getting there and it’s – we’re close to being able to run. So it’s exciting. Great. Thank you very much. Best of luck. And our next question comes from David Grening with The Daily Racing Forum. Hi Kiaran. Obviously, you had enough points to get in, but what does he need to do Saturday to convince you that he does belong? Yes, he needs to have a good performance. We don’t like this [inaudible] to run in the Derby. So he should – he needs to run well or have a big excuse. And hopefully all goes well and he has a clean trip and runs well. [Inaudible] strong again, so into a slower pace. So we don’t have to go if he doesn’t run well. We hope that he runs well. Everything that we’ve seen, he’s doing great. So he should run well and we’ll move on to Derby. You had Frosted who was exceptional at one turn and two turns. Are there are any similarity? When you look at this horse, do you see any similarities that you can draw upon with Frosted? No, it’s a little early yet to tell, but he does everything right and he’s got a great mind, as Frosted did too and we like everything about him. But it’s hard to compare those two. Frosted was probably one of the best horses I ever trained, so it’s hard to say that right now. Hopefully I can say that about this horse also. Fair enough. Thanks. Good luck. And we have no one else in the queue at this time. Kiaran, I said you’ve mentioned a few times just what a good mind that this horse has. I mean, how key is that when you’re – having a good mental state when you’re trying to get a horse to kind of stretch out to these classic distances[? ], as being able to have one that knows how to kind of relax and settle? Yeah, it’s very important but more important with this horse because of his pedigree and his brother because we all were a little concerned that would he be just one [inaudible] well. We kind of took that out of the equation because the Takafal was just a run-off. He was very difficult. So this horse’s mind is great and that’s why we say that he’s a different type of horse even though he’s a half-brother to Takaful. Perfect. Well, Kiaran, again, thank you so much for joining us this week, and like I said, continue best of luck with everything on the Derby trail. And hopefully we’ll all be chatting in [inaudible] in a handful of weeks. Yeah, that would be great. Thank you very much for having me. Thanks again, Kiaran. And next up we are going to check in with the reigning king of the American Classics, Hall of Fame trainer, Bob Baffert. Last year saw Bob condition his second Triple Crown winner in Justify, having already ended the 37-year drought with American Pharaoh in 2015. As usual, Bob is loaded once again this year with top talent, including reigning juvenile male champion, Game Winner, who is set to make his second start of the year this Saturday in the Santa Anita Derby. In addition to Game Winner, he also has Grade 1 winner, McKinzie, set to start in the Santa Anita Handicap for this weekend. Bob, thank you again so much for coming on the call this week. I said, the Rebel Stakes, I know that obviously it goes down as Game Winners’ first career defeat, as he was beaten a nose that day by Omaha Beach. But that said, given that he was making his first start since the Breeder’s Cup Juvenile, I’m not sure that you could have asked for much more from him that day. What evidence have you seen from him in the morning since, that tells you that you are indeed dealing with a much tighter horse going into this weekend? Well, I mean, I was really happy with the race. He got away a little bit. He was staying a little bit awkwardly and he left awkward and he’s pretty far back early. Then he made a very gallant run at Omaha Beach. And Omaha Beach, it was a great horse race of two really good horses and he’s come back since then. He looks good., he looks really good training here. So I’m really looking forward to this weekend. Yeah, it looks like he had a very good work yesterday. I think I saw where you referred to him as Hercules. I know that he’s not always the flashiest horse but what are just some of the intangibles that you think that he has about him that makes him an exceptional runner? Well, I think the thing about him, he’s tough, he’s gritty. He showed that in his last race. He had every chance when he was behind there to not finish like he did. He tries hard. And he gives it his all. He shows up every time and that’s all you can ask for a horse, just shows up. He’s going to try hard. And that’s what you need. Coming to the Derby, you want a horse that’s resilient. He’s got adversity[?]. He came through and so you want to see that. And really – I wanted to run him the week before but they cancelled the race[?] [inaudible]. Coming back in three weeks after shift[?] can be a little tough but now I’ll have four weeks after this, so that will really help. Yeah, toughness certainly is not his problem. He’s proven that so far. But without further ado, as I said, Bob, I know you are always one of our most popular. I will throw it back to Carolyn and see if we have any questions from the media. And everyone, please press star one if you want to enter the queue for a question. We’ll go first to Tom Jicha with Horse Race Insider. Yeah. Bob, there’s been a lot of speculation after the two races in Arkansas that the disruption in the training schedule, planning to run him[?] before out West and having to ship him took its toll. What in your opinion did that – effect did that have? And then kind of, are you at all worried that it could happen again given what’s going on out there? No, I’ve been assured that everything at Reno[?] [inaudible], we will run this weekend. And I’m looking forward to it, I think it’s going to be a big day. We got great racing and it’s going to be a great car[?] and it’s good to see everybody back working. Because my concern what’s been going out here is the employees, there’s tens of thousand people that are – that work in the racing industry here in California. And so I would like [inaudible] normalcy. I think this is unusual what happened this winter. I think some of [inaudible] anomaly but with the record rains and the surface here is they’ve been – they’ve made some changes with it. I don’t know what’s going on here but – and I think a lot of horses during the rainy season and some of these horses were just – I don’t know, they were just wore out or what. But I think last few days, they’ve worked probably 2,000 horses racing[?] and there hasn’t been any issues. So there’s always that – they can always – they’re athletes. There can always be injuries but hopefully we’re moving forward and we need – like we’ve just been in a – like we’ve been under this dark cloud, so hopefully we can move forward. And the effect that planning to run them on March 9th and having to put them on a plain and running half way close to country on March 16th. Just in your opinion, what toll did that take? I think it’s – it [inaudible] American Pharaoh, I know that. So I think he’s a good horse, you have to have a good horse. But I look back in the old days. They used to run these horses – I mean, I think Secretariat ran 9, 10, 11 times. So sometimes it’s better just to run these horses than to train them so I don’t think it’ll have an effect. And next we’ll go to John Pricci with Horseraceinsider.com. Good afternoon, Bob. Game Winner’s greatest workout, I noticed that you’ve put him inside of – at[?] the door. And most guys seem to do it the other way around with a big horse on the outside, stalking, getting him to finish and all of that. Can you tell me something about what your thinking was in terms of having him break off on the inside of the work mate[?] as opposed to the outside? John, the reason I do that is because I want him to control the work. I don’t want him to go too fast or too slow, so he comes off the pace anyway but I want both of them just to stay at that level. So I’ve done this a lot with him. I’m not trying to – I know he’s not a speed horse but I want the work to go – I want him to control the pace, I want him to control the work. And so I just keep a little pressure because he’s the kind of horse, by himself, if I have him on the outside, he loses focus. So if he’s inside with the horse, right there just next to him, it just keeps him focused on the work. Okay. And you notice that he’s got that wing in his right fore[?] and everything. Can you explain something about that, how that works? How he can be so good and yet maybe to the eye, his action is sort of less than perfect? Well, I mean – all these horses, they all have different way of moving [inaudible] really But it hasn’t affected him at all. I mean, that’s just the way he’s made. But I think if he was a sprinter, John, it probably be – he’s not going to go a half 44 flat. He’s not going to go 21 in Jan[?]. He’s just a steady kind of horse that’s got a nice kick steady. So he’s really never going to get up, going that fast, and that’s why he’s been very healthy, knock on words because I don’t want to jinx myself. But I’ve never really worried about it. Bob, and the last one from me and getting back to that inside work again. Every time I picture him in my mind’s eye, I see him flying by horses on the outside. Is part of that, or do you think the training on the inside, if he’s necessarily in a large field, find yourself – I don’t know – between horses at the top of the lane or something and he may have to duck to the inside to running room? Is that – does that also go into that part of the equation in terms of working among the inside to see if that – if he will act the same way rallying inside as opposed to out? No, not at all. I mean, he’s a horse that he’s just – I mean, he’s not going to be bothered by that. He’s not – he’s not quick enough to really make the lead and we don’t want him to be that quick. So he’s just – he’s steady. He’s got tactical state[? ], which will put him within five lengths of the leader and then he just comes, makes his run and the further the better for him. But the reason I do that is I don’t want him – I want him to control – I don’t want him going too fast. I want him to control it. Okay. Well, may you all have a safe trip on Saturday, Bob. And we’ll take our next question from Tim Wilken with the Albany Times Union. In the Rebel, the first race since the Breeders Cup, [inaudible] impressive second the way he ran. What kind of step forward do you expect him to take on Saturday? I think he’s just – I just want him – if he just ran the same race, I would be fine with it because the next one, definitely we really want him to take the big step. Right now, we just want to keep him – these horses, they need to run one, two to get there and we just want them to stay healthy and keep them right there in that level. And we really don’t want to blow out race the race before. And so as long as he just stays – I’ve let him just come into his own and so that’s what I’m looking for. I want – just the same type of race will be fine with me. And if you were to take a line from the NCAA[?] tournament seating-wise, would he be your number one seat in your barn? I don’t get to vote. The last prep race is the most important race. That’s when we find out how they are seated. So they’re – it’s – they’re playing the game. I have him. I have Improbable which I think is a very good horse. I have Roadster who’s [inaudible], who he started out as the number one seat. And then he had some time off. But when they go a mile eight, Tim, that separates – the cream rises the top. The mile eight separates them all. The mile sixteen [Inaudible] but mile eight makes the difference. And Desmond[? ], what’s up with him? Desmond, he [inaudible] yesterday. I was going to – I was thinking of going to the Wood with him but I changed my mind. I wasn’t really… His work[?] was nice but it wasn’t like over the top. I was looking for something over the top, so I’m just going to wait a little bit on him. And we’ll go next to Art Wilson with The Southern California Newsgroup. Yeah, Bob. Is this a fun time of the year for you, or is there too much pressure involved to have fun? Well, it was supposed to be fun because I was talking yesterday, this is our version of March madness this time [inaudible] going on. But I think once we get to Saturday and there’s been a lot of going on here. Unfortunately, in California, we’ve been getting beaten down pretty good. But hopefully you know what, it’s a beautiful sport. People don’t really understand it. We’ve had some bad luck here and it’s very unusual what’s going on here. And so hopefully everybody’s – trainers, everybody get together and we want to make it as safe as possible on these horses. And so they’re – these horses, they’re not our livelihood, they are our way of life. And there’s lot of people back here that are employees and we have to make this work because there’s – I worry about the families. I have a lot of employees, I worry about their families, everything else, they’re worrying. If – racing needs[?] to do well. So it’s been better. This last month has been, I would say, a little stressful. Well, because you have already won five Derbies, two Triple Crowns in four years, is there a less pressure on you to get one of these – another one as opposed to someone who’s still looking for their first or second? No, I think I feel the same anxiety. Going in you’re trying to keep healthy, find the right move for them. I think it feels very stressful but I mean, any coach, I’m sure [inaudible], he just get just as stressed as he does winning – getting ready for another Super Bowl so I never… To me, once the year is over, if we just clean the slate, it’s all over. I’m going in there like I’m trying to win my first Derby. And we’ll go next to Alan Carasso with Thoroughbred Daily News. Hi Bob. Yeah, in a similar vein, the fact that both Game Winner and Improbable dropped their last races to lose their unbeaten records. Does that take a bit of the pressure off in not having unbeaten horses entering the final prep in the Triple Crown races? No. Well, not really. I think we wanted to win those races. And so I mean, Improbable, now he has to run lights out in the Arkansas Derby. He needs to run first or second if he’s going to get in the Derby. So I think there’s more pressure now because he didn’t win that race. So it comes down to point. But then again if you can’t run [inaudible] talking about prep, do you need to be in this Kentucky Derby? I’m just hoping if we take him up there, he gets a great – he has a chance to win. Racing like is so important right now. That’s what I worry about. So if they’re good enough, they’ll get it done. And we’ll next to David Grening with the Daily Racing Forum. Yeah, Bob, I wanted to ask about much better – first, I just want to make sure you’re staying in the Bay Shore since you’re keeping Desmond at home. And secondly if you are cutting back this seven-eighths, how good can he be as a six or seven-furlong horse? Well, you know what? He’s only shown – he’s a beautiful horse. He’s shown a lot of speed and I think he’s got – I’ve talked to the owner, Mr. [inaudible], and I think he’s got natural early speed. And some of these horses, like Bryan[?] he wasn’t ready to go two turns. I tried him earlier. He wasn’t ready until later in the late summer. What I wanted – I like to run him there, and then put him for like the horse race, like the Woody Stephens and then nearly take shot like in the [inaudible]. I think by that time it’s a different – they change a lot. But right now, I want to cut back a little bit and – because I really think he has a lot of potential. Like he has a natural speed. He went way too fast [inaudible] like I mean, it was ridiculous pace. And he only – he didn’t get beat very far. I mean, he could have easily have won that race. So I think going shortening him up a little bit, it’s a more of a natural speed where everybody around you is going pretty fast, so he can maybe relax. And I’ve got Victor Espinoza. He’s going to ride him. And Victor is pretty good with those kind of horses. He’s a strong rider where he knows how to rational that speed a little bit. So I’m really looking forward to him running the Bay Shore. And last thing, you have five nominated to the Carter. I was just curious if after hearing what’s running in there, if you might be sending one here. No Carter. They all ran Saturday. And our next question will come from Bryce Miller with The San Diego Union-Tribune. Hi Bob. I just had a question about the Santa Anita Derby in particular. It’s been such an unprecedented situation with the track and the issues with the rain and all of that that’s been well documented. When you’ve got a horse like Game Winner, do you change anything strategically in a race like that to make sure you get out of there healthy? Or if you show any hesitance in terms of game plan or the ride, can that put a horse in a different kind of danger? How do you approach it, given the situation at the track? I’ve really not changed anything. I’m just going into – I think anywhere you run, I mean, if I thought there was a danger out there, I wouldn’t even leave my horses out there. So I’m feeling good about what’s going on here but I don’t want to jinx myself. But it’s one of those things where we just – we’ve been playing[?] for, we trained for it. So I’m not really – he’s not going to ride him any differently or anything like that. And maybe just another kind of angle on strategy in the schedule itself. You go to a mile and an eighth and then a mile on a quarter at the Derby. You’ve talked before about how Game Winner loves distance, would like more distance. What does increased distance mean for Game Winner in particular? I think he likes it. It’s like anything. Pace makes the race. But I think the further the better and I’m trying to get Gary and Mary West there and they’ve got the best one on the East Coast. So that takes a little pressure off. They’ve got pretty nice horse in there already. So he’s probably the horse to beat right now. And we’ll go next to Terri Keith with the City News Service. Good morning, Bob. Couple of questions for you. The first is how the – whether the problems at Santa Anita have affected your training and your plans for your three-year olds? No, it has affect -– this winter, luckily, I haven’t had any issues. But like I said, I don’t want to jinx myself. But I always trained around the rain and when it rained, I just – you train [inaudible] work. And so I wasn’t running that many horses. I was just getting them ready. But it’s one of those things where it just – if things happen and you just have to work your way around it but we’re still here. We just want to get to Saturday. Bob, are you concerned about the PETA demonstrators and the people who are saying that it’s not safe for these horses to be out there? I mean, you’re always concerned about – the negative publicity, I was very concerned about that because we – they don’t know how it really – how it works here and how we can – you can only say so much about – they don’t know how we take care of these horses and the employees, the families, there’s lot of jobs. But there have been – they’ve never wanted[?] horse racing so I just – that’s not my – my job is not to worry about them. I’m worrying about these horses. And the last question I have for you is how would you compare your three-year olds this year and your Triple Crown winners? Well, I think they’re – you really can’t compare – a horse like American Pharaoh and Justify, they were – usually they were really the standout of their crops and their second out. And I think it’s a pretty wide open race this year and it’s up for the – it’s going to be – I think it’s going to – there’s some nice three-year-old. Everybody says, well, there’s nothing [inaudible]. There is a lot of nice three-year olds. There just hasn’t been a horse that has just broke through. And I think that everybody’s waiting for that. Maybe it’ll happen this week or at Arkansas or Keeneland. But I thought the Florida winner was pretty impressive. Thank you, Bob. Good luck. And next we’ll go to Jason Frakes with the Louisville Courier Journal. Hey Bob, thanks for joining us. You had mentioned Roadster was sort of your number one seat maybe last year. Going into the Santa Anita Derby with him, I mean, do you think – do you foresee him maybe being able to get back to that status and finishing one, two and getting to the Kentucky Derby? I mean, I know you’re hoping for that but what is your thought about him going into that? I really – I’ve always liked that horse. He’s been – he’s showed me [inaudible] day one. [Inaudible] brilliant. I thought that might be my horse and we had [inaudible] he’s come back. His comeback race was just off the chart, I was so happy with it. Mike Smith is really happy with him. And he’s come into this race really well. He’s been working well. He looks healthy. He’s fresh. He’s a very light horse but [inaudible] him anywhere. And so I expect him to run a big race. He needs to run first and second also. Right. And lastly, have you made a decision yet on Mucho Gusto and whether you might be sending him to Keeneland next week for the Lexington to try to get in? You know what? I’m just – I got him back here from – I was a little bit disappointed because he had to make [inaudible]. He sort of ran the same race he did in the [inaudible] where he did all the dirty work and he paid for that. And I’m not sure yet. We’re – one thing about it, we’re realistic kind of people about the mile and a quarter. So we haven’t really – I don’t cross that bridge until I get to that. And our next question will come from Bob Ehalt with Bloodhorse. Hi Bob. How you doing? Okay. Just wanted to ask you about the McKinzie and the Santa Anita Derby. Wonder if you could just say what went into the decision to, say, go to the Santa Anita Derby as opposed to maybe the Dubai World Cup? And how has he been training for the race and how do you feel he’s going to run? Well, you know what? He’s – I was just – when they cancelled the [inaudible], I was just, damn it, I could have gone to Dubai. But [inaudible]. I really think McKinzie, he’s going to get better with age and really, you’ve[?] got to turn down 12 billion. But the thing about Dubai, it’s not an easy ship. It’s like you’d be the favorite but it’s a tough ship. You have to have the right kind of horse. And I still think – I think next year he would be the right kind of horse for it but he just wasn’t there yet. And I really think that this horse – he’s really shown signs of brilliance. He’s been working well and I was really disappointed he got beat last time but he just didn’t had the right setup. And it was a little bit – it was rainy and wet and he was caught between the horse. He never got into nice rhythm. And I talked to Mike Smith about it and he felt bad about it. But that’s going to happen. But I really think that if he’s going to – I want to see if I want to see if he can get a mile and a quarter. And I don’t want to ship him and he looks great. But he still has to do it. And so I just want to take baby step with him. And me being at the Breeders Cup this year and I’d love to win the Breeders Cup with him and just he’s a really good horse. And the owners [inaudible] are excited about him and that’s their big horse right now. So I just – I felt like I manage these horse – a lot of these people manage them like you own them and sometimes you have to just – temptation is always there but you just wait for the right [inaudible]. So that’s what I did. And the Dubai World Cup, it was – it’s easy to say, ‘You would have won that, Bob,’ but you don’t know, [inaudible]. Yeah. Very good. Can I ask do you have anybody else that’s looking at the Santa Anita Handicap? No, he’s the only horse. The only one, okay. All right. Thanks Bob. Good luck on it with all the horses. And next we’ll go to Michael Spector with Thoroughbred Racing Dudes. Hi Bob. Thanks for taking the time today. About Roadster, talk a bit about how you have been able to bring him back from his surgery last year and quarter cracks[?] earlier this year to get him to this point. And if you have any concerns stretching him out to a mile and eight? Well, I mean, there’s always concerns stretching out his – he looks healthy. He looks fine but the breathing issue has not been a problem. He’s bred to run a mile and a half and he acts like [inaudible] really well. Some horses love it, some horses don’t. They struggle with it. And the way he ran the other day was just – it was a phenomenal race and Mike Smith was really happy about it. So it’s like he still has to do it. So like everybody else, they have to break – they have to get it done. You can dream all you want but I really think he’s going to be very competitive and I just love those horses [inaudible]. Last question. You’re pointing Improbable to the Arkansas Derby next week and you worked him wearing blinkers on Saturday. Can you talk a little bit about why you’re testing out that equipment on him and what goes into the decision if you’ll wear them next week in the Arkansas Derby? Well, you know, after the race he came down there and he has a tendency of – he’ll look around, he’ll tilt his head around a bit and after [inaudible]. And we talked about it and he said maybe we try a little blinker on him or work and see. So I’ve been trying to get him to focus a little bit more and I’m learning more about the horse. The preps are mainly you learn more about your horse, their style, whatever. I’m trying to figure out the right kind of style before we get to the Derby and I think – in his last work, we’re seeing things that maybe he could improve – he’s got to improve a lot and get [inaudible]. I just love the way he came out of the Arkansas Derby. He looked fantastic and I think his Arkansas Derby will be a huge run. Okay. Thanks a lot Bob. Bob, so just before we were to go real quick, just wanted to see if I can get an update on Chasing yesterday. She obviously was hugely impressive at [inaudible]. How is she doing? Is she prepared for her expected Oaks run? Yeah, you know what? She came back. I was a little bit disappointed in the race. She broke – she missed the gate. We kept her back and she wanted to go and there was a headwind. And she just – she want to [inaudible] just her own talent and – but she actually looks better now than she did going into the last race. I think she really needed that race. I think she ran a little flat in that race but… So we don’t know. We’re going to decide that. Tomorrow I’m going to have a conference with Jane Lyon and find something [inaudible] . Sounds good. Well, Bob, I think there is really nothing left to ask you yet that hasn’t already been covered. Again, you are a rock star. As always, appreciate your time in coming on here, taking everybody’s questions and being so open and honest with your thoughts. And as I said, look forward to chatting with you many, many more times if we’re here in Louisville. Thank you and thanks for having me on. And next up, we are going to go to the trainer who always commands full attention any time he brings the horse to the Blue Grass Stake, Mr. John Servis. John famously conditioned [inaudible] Kentucky Derby and Preakness winner, Smarty Jones. And if it wasn’t impressive enough for him to win the Derby in his first try, he then took home the Oaks with his first-ever starter in that race, when Cathryn Sophia triumphed there in 2016. John enjoyed more success in Kentucky this past November when Jaywalk captured the Breeders’ Cup Juvenile Fillies at Churchill Downs in route to earning the Eclipse Award for divisional honors. Jaywalk is set to start this week in Ashland Stakes at Keeneland and she will be joined on the car that day by her stable mate, Lucky Lee, and will look to be a wide-open edition of the Blue Grass Stakes. John, thank you so much for joining our call today. My pleasure. Thanks for having me on. Our pleasure. So with Jaywalk, obviously her seasonal debut didn’t go as planned, finishing fourth in the Davona Dale. I know that you said immediately in the aftermath that maybe you didn’t think you had her quite tight enough. Is it kind of a fine line to kind of walk with her with her being a lighter [inaudible] filly of pushing just enough to have her ready without having her go over the top in her training? Well, it definitely is. And I mean, the main goal was made[?] at Churchill. And the last thing we wanted to do is have her worn out the first Friday in May. So we kind of went real slow with her and brought her along at a pretty slow pace and they caught up to her. And she’s had great success going gate to wire. She did that where she won the [inaudible] and obviously again where she won the Breeders Cup. But I know when she won at Delaware, she did kind of race[?] that day. Do you feel like that she needs to be on the front end to deliver her best run or can you – can she still be as effective maybe sitting back in that first place? No, I think she’ll run anywhere, really. I mean, she’s got ability and she’s good. The thing with her is she just has such a brilliant speed and she has such a good cruising pace that it’s pretty fortunate to be able to have that because she finds herself in front and kind of runs them off their feet a lot of the time. And as I said, with the [inaudible] you have for the Blue Grass Stakes, he hasn’t run since the Withers Stakes in where he was seventh. And it looks like that day he just never got a hold of the track for whatever reason. What have you kind of seen from him since that kind of convinced you to go ahead and take the shot here in the Blue Grass Stakes? Well, we were pretty high on him from the get go. I mean, he trained like he was a really nice horse and the Withers was the race that we were pointing for from his last [inaudible] race in parts. And we were going to test the waters and see if he was as good as we thought he was. And he didn’t run well at all. He didn’t really show up any part of the race. And he came out of the race with a little bit of a neck issue that actually took us quite a while to find. And we’ve been working on that on a daily basis and he’s responded great. And his last work at Palm Meadows – I was thinking about the Lexington and his last work at Palm Meadows was so good. And the Blue Grass at that time didn’t look like it was going to be a real salty spot for the money that they are offering and we just thought that, you know what, we’ll take a shot. If he’s not good enough, he’s not good enough. But I think at this stage of the game, he deserves a shot. Yeah. Like you said, it definitely looks like, I said, it’s a very open pace on – open race on paper. It doesn’t seem many [inaudible] out there. So John, without any further ado, I will throw it back to Carolyn to check in with the media and to see if they have any questions for you today. And once again, everyone, if you would like to ask a question at this time, please press star one on your touchtone telephone. And we’ll go first to Danny Brewer with Horse Racing Scoop. John, how are you today? I’m good, Danny. How are you? Quite well sir. When we talk about the Ashland Stakes, I mean, that thing is loaded. Is it good test – good chance to put your feet in the water here because I mean, your Chocolate Kisses and Needs Supervision, it really looks like it’s a good race. Yeah, it’s a really good race. Again, I mean, our main goal is the Oaks and she’s going into the Ashland really good. So I think it’s going to be a good race for her. The – Alicia touched on something about her liking to lead and all that kind of stuff. Did you try anything different here to get her ready for the first Friday in May? Or did you just go out there and Jaywalk [inaudible] Jaywalk? Well, I mean, the bottom line really it comes down to what Javier thinks. I mean, it’s his first time riding her. I’m going to leave it in his hands. He knows she has the kind of speed she has. And I guess really it depends on the break. If she breaks running and wants to go to the lead, I guess, she’s probably going to let her go to the lead. If she breaks little slow and gets out run early, he’ll probably tuck her in behind horses and save some ground and see how the race develops. When we talk about the Blue Grass and Lucky Lee, I mean, you mentioned when you analyze the potential entrants, absolutely a great spot for him to punch his stick to the Derby? Well, he’s going to have to be ultra-impressive to go to Derby. I mean, if he wins and he’s all out doing it and the race takes something out of him, then we’re not going to kill him to go to Derby. The original plan before his last work at Palm Meadows was the Lexington and then probably the Belmont, because I think he’s going to relish the distance. I mean, he just acts like he’ll run all day long. But as good as he is right now, the way the Blue Grass is shaping up, we could test the waters there and see if he’s as good as some of these three-year-olds. And if he is, we’ll sit down – I’ll sit down with Mr. [inaudible] and the Green family and we’ll talk about what’s best for the horse. John, appreciate your time man. Wish you the best of luck. And as a reminder, please press star one if you have a question. And next we’ll go to Ed McNamara with Newsday. John, you’ve done very well at Churchill Downs in the big races. Now your brother looks to have one of the leading contenders. What is that like for you and him? Have you spoken with him? Yeah, I text him right after the race. I mean, I know how hectic it gets like right after the race runs and I let him sleep on it, and I talk to him the next morning. And we didn’t really talk that much about heading into Kentucky, other than when we were plan on going out there and – I mean, he’s excited to have a horse back in Derby again. And I know Jason, he’s going to ready to run. It’s just a question of if he’s good enough to beat those other horses. Yeah. Would you be giving him any advice if you’re there in the Derby or not there? No, he doesn’t need any advice from me, trust me. No, he’s done very well for himself. He doesn’t need my advice. Yeah, he’s been exceptional over the last few years. In fact, he had his first big year in 2004 when he won $1 million for the first time. But 2004 was your year. What is it like to have grown up with somebody and you’re both very successful in an extremely difficult business? Well, not to speak for Jason, but Jason hasn’t trained, I don’t think, half as long as I have. So the fact that the 2004 was his first big year, that’s understandable and I know he’s put together a very strong group of clients to enhance his stable every year and he’s got some really good horses to show it. But I mean, growing up, as crazy as it sounds, Jason always wanted to be a jockey. That was his dream. And it was funny because our senior year in high school, I mean, he fought to make wresting weight at 112 and all he talked was riding. And I’m thinking there’s no way he’s going to ride. But he got his weight down and he rode for about a year and then he just couldn’t handle the weight battle any more. And then eventually he ended up in the barn training with a guy and I guess learned a lot from him. And unfortunately the gentlemen got sick and passed away and Dennis Drazin was his main client and Dennis asked Jason to stay on and take the horses. And that was the beginning of him training. So we really didn’t – it really wasn’t that we talked about it early on. I knew I want to be a trainer. That’s what I always want to do. But Jason was – he want to be a jockey, that’s what he was all about and that’s what my dad was. And how much – I’m sure your father had a lot of inputs into both of your careers, right? I mean, he was able to advice both of you on what you could expect and what you’d be facing? Yeah. Early on when we were younger, he kind of tried to steer us away from the race track. I think he’d be tickled to death if we’d been doctors or lawyers or something like that. But I mean, early on for me when I knew at a young age what I wanted to do, he thought me the work ethic and got me a job on a breeding farm. And I’d walk [inaudible] in the morning at the race track and then go right to the farm and work all day at the farm. That was my summers. But the big thing with my father is he’s great at keeping us grounded because he’s as honest as he could be. And I mean, when you tell him something – let’s say you watch a race and you thought the horse was impressive and you say, ‘Watch this race, Dad, I really thought this horse was pretty impressive.’ And he’ll watch and he might say, ‘Yeah, you’re right,’ or he’ll go, ‘I didn’t really think it was that impressive.’ I mean, he’ll bring you right back down and let you know. But no, he’s always – he pointed us in the right direction and he knows the people – a lot of people in the business that have been in the business for a lot of years that have opened a lot of doors for us, Jason and I both. And has given us a lot of advice along the way and it’s been very helpful. He’s still in West Virginia? He’s still in West Virginia, yeah. Is he active in the game or is he just an observer? He is adamant observer. As a matter of fact, he’s getting ready to go in, in a couple of weeks, for some heart surgery and I had to check in with him, [inaudible] after the Florida Derby to make sure he was doing all right. Because I’m sure he was bouncing off the couch and screaming and hollering and just pretty excited. Yeah, that would get the heart going, with your son winning a great race like that. Well, I hope all goes well with him and with you and with Jason and we’ll see in Kentucky. And we have no further questions at this time. I’ll turn things back over to Alicia Hughes for closing remarks. Thank you, John. Before I let you go real quick, just wanted to ask you, with Jaywalk, this is filly that I said that you purchased out of [inaudible] that you picked her out yourself. Just what was it about her back then that kind of struck you about her? Well, Alicia, I had to say probably the main thing was her head. I mean, she just – when she walked out of the barn, she was just so attractive and really stunning. Just kind of really caught your eye. And then when we watched her walk and watched her stand and everything and she had every – all the right angles and had a nice walk on her and I just she was – like that movie, she had me at hello. She’s definitely – like she hasn’t done much [inaudible] so congratulations again on just tremendous, tremendous job with her. And selfishly thankful that I get to see her this week at Keeneland. So, but John as always thank you again for taking the time to come on and speak with us today. And best of luck with everything and actually I’ll get to see you this weekend. Okay, Alicia. Thanks for having me on. I appreciate it. And that will do it for this week’s NTRA National Media Teleconference. An audio file of this call will be up later on today at NTRA.com and a full transcript will be available there tomorrow. Once again, we’d like to thank our speakers today; Kiaran McLaughlin, Bob Baffert and John Servis for coming on. And thank you again to all of you, all of our participants for joining the call today. We will be back on April 9th to preview the Arkansas Derby. And again, thank you for joining the call and now back to our operator, Carolyn, to wrap things up. And that will conclude today’s conference call. Thank you everyone for your participation. You may now disconnect.